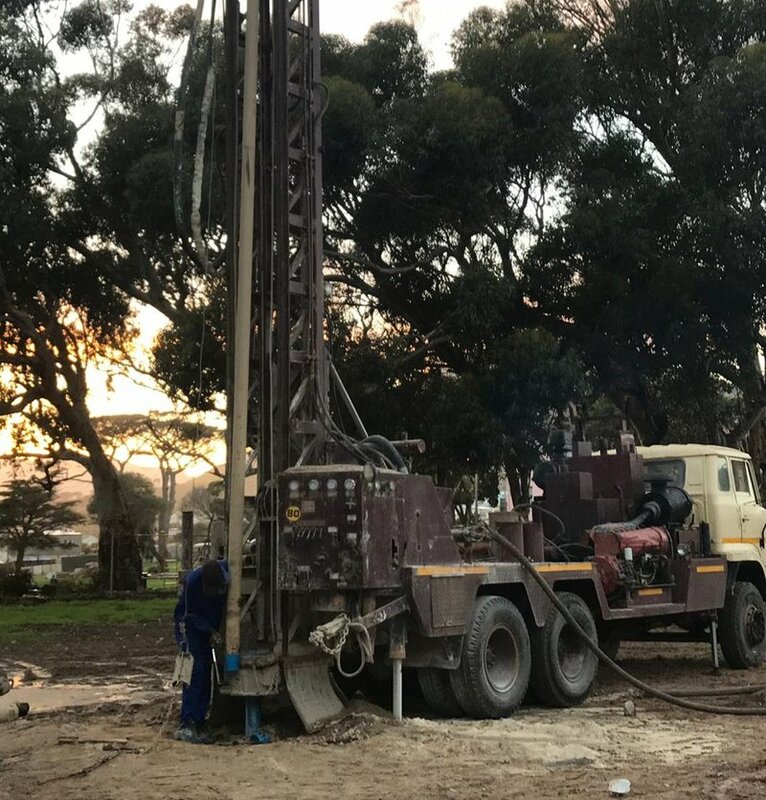 On Wednesday 20 June, the first Jacaranda FM Project Waterdrop borehole will be drilled at the Kleinberg Primary School and Ocean View LSEN School in the Western Cape. The borehole will be drilled in the grounds of Kleinberg Primary, to benefit both schools. Kleinberg Primary has 1100 learners and Ocean View LSEN 100 learners (LSEN is short for Learners with Special Education Needs). Several of the 15 schools in the Cape Metro and West Coast, earmarked by this project, are LSEN-schools. All of the schools service the children of poor, disadvantage households, where unemployment and need are the norm. Jacaranda FM launched Project Waterdrop 2018 in February, in response to requests from listeners to assist the drought stricken Western Cape. The project aims to drill boreholes, fitted with pumps to benefit schools in vulnerable areas. We believe that a sustainable intervention will go far in assisting vulnerable communities as the water crisis deepens. According to the Western Cape Education Department, the main reason why schools would have to close due to the drought, is if they cannot supply ablution facilities to learners: no toilets, no school. Regardless of when or if Day Zero actually becomes a reality the Department is funding water container tanks at all affected schools, to take the ablution facilities off the municipal water grid. However, they do not have the funds to drill boreholes. The schools would be responsible to fund their own boreholes, which again leaves the vulnerable communities with the highest threat of drought related school closure. As a Capetonian Jean de Villiers lended his support for Project Waterdrop. Martin Bester chats to Abduraghiem de Klerk, the school foreman, about the money raised for the Project Waterdrop and how the money will be used. As part of the awareness campaign for Project Waterdrop, Jacaranda FM and the Blue Bulls partnered on 31 March, to fill-up Loftus for the north/south Super Rugby derby between the Vodacom Bulls and DHL Stormers. This was a massive success, with more than 122-thousand liters of donated drinking water collected on the day, distributed to Western Cape school districts in need by DHL and Quatro Security.